Note: This is an analysis of the book, not the original book. Robert Wright's Why Buddhism Is True: The Science and Philosophy of Meditation and Enlightenment (2017) considers Buddhism through the lens of evolutionary psychology, a discipline that regards natural selection as the provenance of many mental traits. Focusing on his personal experience with mindfulness meditation, Wright describes a path to truth, using ideas from the realms of psychology and modern, scientifically influenced philosophy to illuminate ancient wisdom. this was harder for me to understand then the regular book. plus the narrator wasn't my favorite. this is a very quick book. More of a rehashing of the information from the book it *analyzesx than anything else. It was a good companion to the book but not necessarily analysis. Near the end of the book there was a little bit more analytical information. 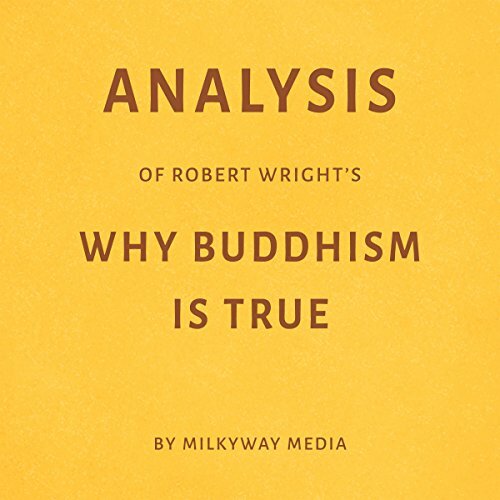 regardless, I strongly recommend this once you've read Robert Wright's "Why Buddhism is True"